NEW YORK -- More than a dozen abandoned purebred Golden Retrievers ranging from 7 months to 3 years old will arrive at JFK International Airport Friday. The dogs have been rescued from Turkey and will now have a place to call home due to the combined efforts by Long Island Golden Retriever Rescue (LIGRR), Golden Retriever Rescue in New Jersey and Autumn Valley Golden Retriever Rescue in Pennsylvania. The 18 animals are scheduled to arrive at 10 p.m.
Golden Retrievers were once a status symbol in Turkey, and purebred pups were imported from Germany and England to be sold in Turkish pet stores. But the obsession with the breed quickly ended when it became affordable for more people to own them, which left around 500 Golden Retrievers roaming the streets of Istanbul with the other 50,000 homeless dogs. "The Goldens were left struggling to survive among numerous dog packs, scrounging for food in garbage cans and dumpsters," LIGRR president Melanie Mayo said. "Goldens are known for their gentle temperaments so they don't fare well when faced with dog fights." 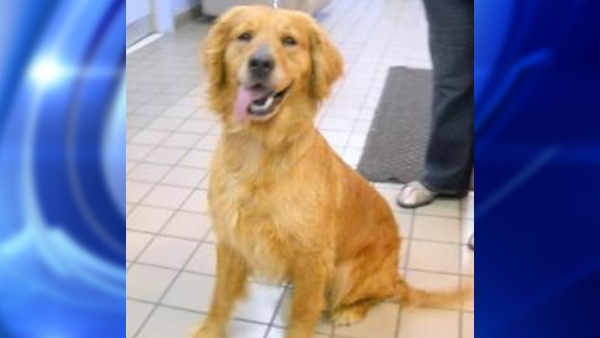 According to the press release, there is a demand for rescued Golden Retrievers in the U.S., and Mayo says that LIGRR will not turn away any domestic Goldens in need because of the Turkish dogs. This is not the first time Golden Retrievers have been rescued from Turkey. A U.S. woman living in Istanbul saw the dogs everywhere on the streets and contacted Adopt a Golden Atlanta, which rescued 36 Golden Retrievers last May and then 15 more in June. The Washington Post has previously reported that it had cost more than $1,000 to send each dog to Atlanta, and Adopt a Golden Atlanta received 20 donations of $1,000 to cover costs. There is no word yet on how much it had cost to transport the newly rescued Golden Retrievers to New York. The first Turkish Golden Retrievers to come to the New York area will be available to adopt for $600, after they spend time in foster care to grow accustomed to the new life.